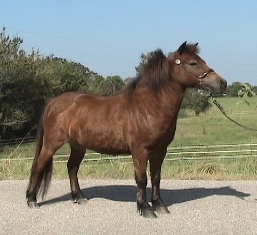 Miniature horses make great companion animals because of their gentle dispositions and intelligence. Treat them well and they will be a best friend and companion for many years to come. 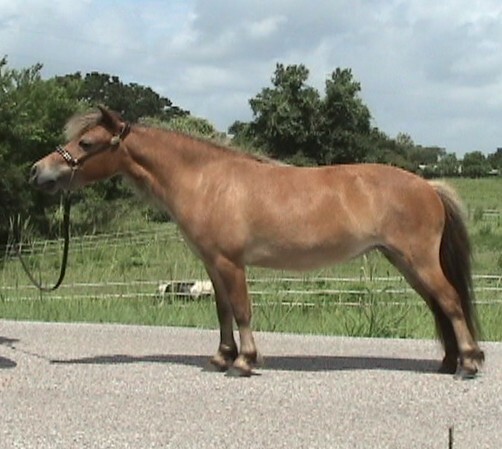 Typical pricing for our pet miniature horses range from $750 - $1,000.00, sold without papers. Why do we have some minis available as pets? 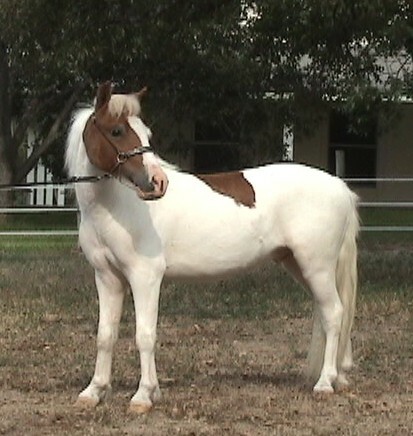 Truthfully, not all foals turn into show prospects; some due to color and some because of conformation. 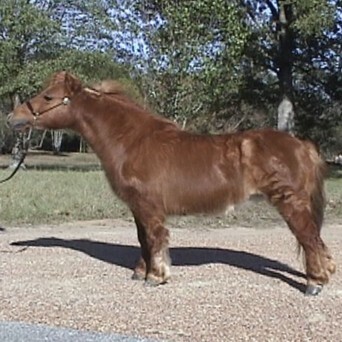 All of our minis are treated equally with care, vaccinations, and worming. Just because they are not going to do well in the show ring doesn't mean that they shouldn't have good nutrition and care. If you want your pet to love you, always treat them with respect. 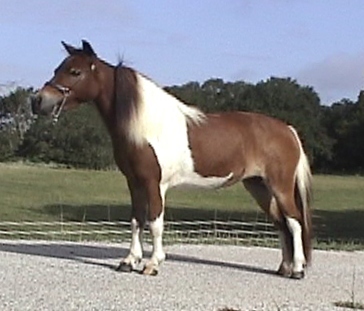 Miniature horses can live 30+ years with the right care and feeding and they make great companion animals. Feeding a mini is very inexpensive since they eat about 2 - 4 measuring cups of sweet feed a day until they are mature, about three years of age. A 50# bag of top quality sweet feed is approx. $15.00 and that would last at least, 50 days. The daily cost for sweet feed is $ 0.30. During periods of time where you have no pasture grazing available you need to give a mini 1 - 1.5# of grass hay morning and night. A bale of hay weighs about 50 #'s at the cost of $ 8.00 per bale. $ 0.33 per day cost for grass hay. They need the same vaccinations, worming and hoof trimming that a full size horse does. If you would like more information on a recommended vaccination and worming program ask your vet. I would also be happy to share the care we give our minis. 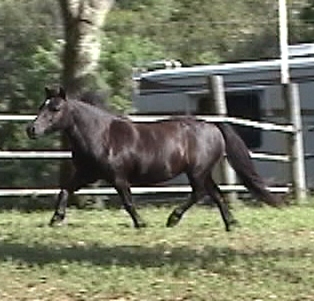 Bay Elegance foaled in 2005 $950. 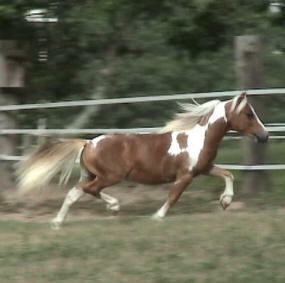 HCM X-Caliber's White Lightning - Beautiful 36" unregistered stallion with great pedigree. Foaled in 2005, yes he could be registered and shown with AMHR. Lightning is a very good prospect for VSE and combined driving events. 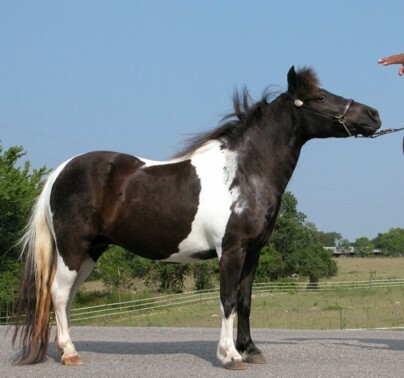 He hasn't been trained yet but comes from a long line of intelligent performance horses. He has a calm disposition and will walk up to you in a pasture. HCM Deal's Salsa - Friendly and easy to work with. 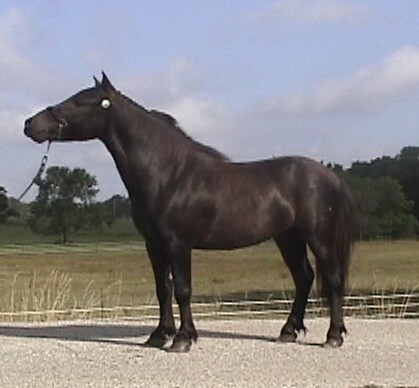 Foaled in 2000, Salsa is a young mature mare that enjoys giving and receiving attention. Will make a great family pet. HCM Taos Blue - This is a very friendly mare that would be great with children. We have tried to get her in foal and have not had any success. 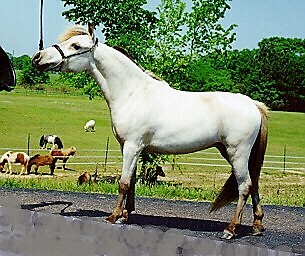 Click on photo or underlined horse name for more info.